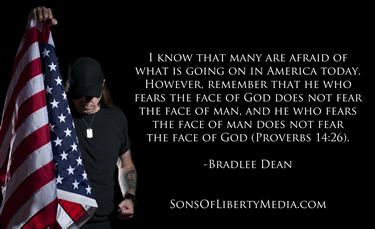 Bradlee Dean -- Are You the Next Braveheart or Esther? I’ve got a question for you? Where has God ever failed a faithful man or faithful woman of God or His Church? The Bible takes just 70 hours and 40 minutes to read at pulpit rate, from cover to cover. The numbers of words in the Bible are about 622, 771 in the Old Testament, and 184,590 in the New Testament, totaling 807,361 words. Can’t find it? Neither could I. The point: Don’t fear that God will not keep His promises. They are solid through and through. You can trust Him.